Internationally acclaimed singer-songwriter Luka Bloom released his twelfth album, Eleven Songs, in autumn 2008 on Big Sky Records. The album was preceded by the debut single, �I�m On Your Side� and now new single �Don�t Be Afraid Of The Light That Shines Within You� will release on February 20th in Ireland, the US, Germany, Holland, Belgium and Australia. Luka will tour Ireland in February 2009 (see below for dates) before heading to Australia to perform for his Antipodean fans. Don�t Be Afraid Of The Light That Shines Within You is, in Luka�s words, "Two chords, two verses and a chorus - a very simple song, and yet it says everything I want to say at the beginning of 2009. Since 1993, at the start of every February, I have watched large groups of men and women gather in my home county of Kildare. They come to welcome the beginning of spring. They come to Kildare because it is the home of Brigid, whose feast day is February 1st. Brigid is the goddess of love, poetry, justice in prechristian Ireland, and she is the patron saint of Kildare. There is reflection, talk, music and dance�a gathering of people who want to celebrate the coming of spring, and who want to call Brigids� qualities into the world, to light a spark for change. And every year we gather to welcome the light into our world; and to hope that more light will shine in the world; and that someday out of the darkness of war, hunger, greed, poverty, will come the light of community, sharing, justice, music, dance, peace and love. I wrote the song around 2000 and for some years I only sang it in Kildare, and often only in February. In 2008, i felt a momentum within myself, which resulted in the record �Eleven Songs� and finally recorded �Don�t Be Afraid Of The Light That Shines Within You�." 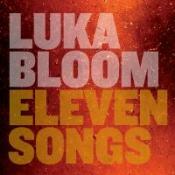 Eleven Songs, the new album from Luka Bloom is out now on Big Sky Records. The new single �Don�t Be Afraid Of The Light That Shines Within You� releases February 20th on Big Sky Records. Luka Bloom joins Ian and Breda in studio for a chat about his upcoming international tour, his brother Christy Moore and his holiday to the last place you'd expect him to go! 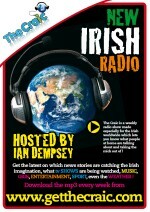 About the Show: The Craic is the online radio show made especially for Irish people worldwide. You get to hear what Irish people make of stories in the news, the latest on entertainment and music in Ireland and of course Hidden Headlines you won�t get anywhere else. With Irelands favourite breakfast show dj at the helm, Ian Dempsey from Today FM, you know it�s all delivered tongue-in-cheek with a great sense of Irish humour and craic. We�ve a new show for you every single Friday so come on, join in. 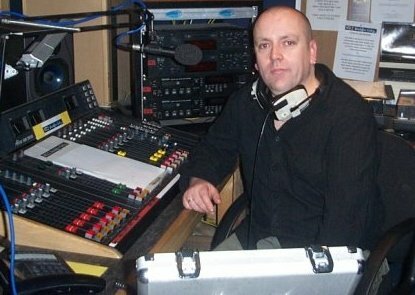 Chuck the show on your iPod, burn to CD or just click play to listen online.What are you waiting for? on the eve of St.Brigid's Day, the first day of February. Afri - Action from Ireland, workshops, and a candle lit ritual on Brigid's Eve at the well. 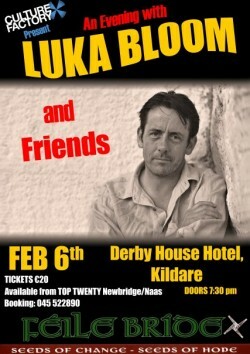 Kildare musician Luka Bloom is to play in the Derby House in Kildare town on Friday the 6th of February. Luka is excited about the prospect and said "I am really looking forward to my show in the Derby House on the 6th of February. 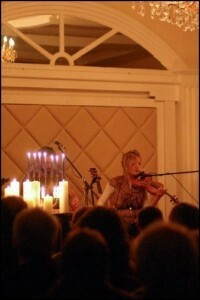 It is always a special time in Kildare, and we will do our best to make sure this is a great night of music and song." Since 1993, at the start of every February, Luka has watched large groups of men and women gather in his home county of Kildare. They come to welcome the beginning of spring. They come to Kildare because it is the home of Brigid, whose feast day is February 1st. Brigid is the goddess of love, poetry, justice in pre-Christian Ireland, and she is the patron saint of Kildare. The song from his album that most reflects Brigid is called �Don�t be afraid of the light that shines within you� is part of the momentum he experienced within himself last year in recording his latest album. As he puts it himself "I knew that it was not enough to simply record the song. It had to be BIG. Most of my recent recordings are intimate and personal. But this song insists on being as big as is possible. It is a song which wants to explode into the world; and it�s time has come." He added that "This song came from the power of a group of people who want to shine a bright light for the earth and for humanity" and "this song is a call to people, to reach inside and be aware of the power in each one of us to do good, for ourselves, for our families, for our friends, for our villages and towns, and ultimately, for our earth." Luka feels this song is quite appropriate as "in these times, many people feel powerless and marginalised but there is such a window opening in the world for goodness and kindness, January 2009 could mark a great beginning and with love and hope in my heart, for our shared future, I hope it is." Luka is being helped out for this show by Culture Factory, a voluntary group of young people who are attempting to establish a creative and social centre for the young people of Newbridge. Chairperson Barry Healy stated "we were delighted when Luka asked us to help him out, after all he is one of our prize possessions and it will be a great night". Tickets are €20 and available from Top Twenty Naas/Newbridge and from the box office 045-522890. The 17th annual Féile Bríde gets underway in Kildare town this Saturday with the theme of 'Seeds of change, seeds of hope'. The festival programme was launched last week by Sr Mary Minihan who said that she was delighted to see so many people come together for the festival launch at Áras Bhríde. She said as a community and as a country we need each other at this time and she recalled a series of presidential lectures which were broadcast on RTÉ Radio One over Christmas. "The theme of this series was the future and it reminded me that we ourselves need to think of the Kildare of the future. It is great that we can come together on an evening like this and ask ourselves what values and hopes we will have for our future," she said. Sr Mary went on to say that this is what the festival was all about. "Féile Bríde is all about giving people a stronger sense of connection to the community and giving people a sense of the importance of community. Together we can make a difference," she said. The programme of events during the week-long festival was then outlined. The annual St Brigid's Eve ritual of a pilgrimage at St Brigid's Well will open proceedings on this Saturday, 31 January at 7.20pm at the Japanese Gardens car park. On St Brigid's Day itself, Sunday 1 February, there will be a guided walk around the ancient town of Kildare led by Mario Corrigan beginning at 1pm and this will be followed by a series of workshops at Áras Bhríde. which will explore the traditions of Brigid. Later that evening there will be an evening of hospitality, story and song at a Brigid's Banquet which will be held at the Silken Thomas. Mai Leonard will host an evening of poetry, song and music at Áras Bhríde on Monday 2 February and on Thursday 4 February the Kildare Education Centre will host the annual Celtic lecture. This year the lecture will be given by Professor Jonston Mc-Master of the Irish School of Ecumenics and will be entitled; 'The flames of justice - Brigid and the practice of Social Ethics'. Luka Bloom will perform his new song Don't Be Afraid Of The Light That Shines Within You during a Feile Bride concert at the Derby House Hotel on Friday 6 February. On Sunday 8 February the festival will close with the annual Afri Conference and the keynote address will be given by the former UN Assistant Secretary General Dennis Halliday. For full details on all the events throughout the week contact Solas Bhríde at 045 522890. Talented Newbridge singer-songwriter Luka Bloom will take to the stage at the Derby House, Kildare town on Friday 6 February to promote his new album and latest single. Luka is being helped out for this show by Culture Factory, a voluntary group of young people who are attempting to establish a creative and social centre for the young people of Newbridge. Chairperson Barry Healy stated "we were delighted when Luka asked us to help him out, after all he is one of our prize possessions and it will be a great night." Luka is excited about the prospect of the concert and said "I am really looking forward to my show in the Derby House on the 6th of February. 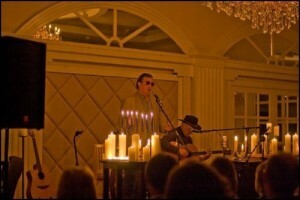 It is always a special time in Kildare, and we will do our best to make sure this is a great night of music and song." The Internationally acclaimed artist released his twelfth album, Eleven Songs, in autumn 2008 on Big Sky Records. The album was preceded by the single, 'I'm On Your Side' and he has now released the new single 'Don't Be Afraid Of The Light That Shines Within You'. Luka will tour Ireland in February 2009 before heading to Australia to perform for his Antipodean fans. 'Don't Be Afraid Of The Light That Shines Within You' is, in Luka's words, "Two chords, two verses and a chorus - a very simple song, and yet it says everything I want to say at the beginning of 2009." He added that since 1993, at the start of every February, large groups of men and women gather in Kildare, the home of St. Brigid, to celebrate and welcome the beginning of spring. St Brigid, whose feast day is February 1st, is the goddess of love, poetry, justice in prechristian Ireland, and she is the patron saint of Kildare. "There is reflection, talk, music and dance � a gathering of people who want to celebrate the coming of spring, and who want to call Brigids' qualities into the world, to light a spark for change. And every year we gather to welcome the light into our world; and to hope that more light will shine in the world; and that someday out of the darkness of war, hunger, greed, poverty, will come the light of community, sharing, justice, music, dance, peace and love." Luka added that although 'Don't Be Afraid of the Light The Shines Within You' was penned around 2000, he only sang it in Kildare and often only in February. "In 2008, I felt a momentum within myself, which resulted in the record 'Eleven Songs' and finally recorded 'Don't Be Afraid Of The Light That Shines Within You'." "I knew that it was not enough to simply record the song. It had to be BIG. Most of my recent recordings are intimate and personal. But this song insists on being as big as is possible. It is a song which wants to explode into the world; and it's time has come". He added that "This song came from the power of a group of people who want to shine a bright light for the earth and for humanity." "This song is a call to people, to reach inside and be aware of the power in each one of us to do good, for ourselves, for our families, for our friends, for our villages and towns, and ultimately, for our earth." Luka feels this song is quite appropriate as "in these times, many people feel powerless and marginalised but there is such a window opening in the world for goodness and kindness, January 2009 could mark a great beginning and with love and hope in my heart, for our shared future, I hope it is." Returning to the raw live sound of his earlier records and brimming with inspiring lyrics and sumptuous melodies, the album Eleven Songs reminds us why Bloom is such a master of the concert stage. The album was co-produced by Luka and David Odlum (ex-Kila and ex-The Frames) and recorded in Grouse Lodge in County Westmeath. Luka will tour Ireland in February - starting with the special gig on Friday 6 February at the Derby House, Kildare. Having tread the boards of stages all over the globe, 36 years of craft honing has given Luka Bloom from Newbridge a place on the music map. The much-loved Irish troubadour comes from a family of singers and writers first going on tour of English folk clubs with older brother, Christy Moore, in 1969, when was fourteen years of age. He has gigged with The Pogues, Hothouse Flowers, The Cowboy Junkies, signed with Warner Music in Los Angeles, and made Riverside, The Acoustic Motorbike, and Turf. 10 albums on, Luka Bloom's musical journey has brought him to a place where songs seep from every pore, and melodies celebrate the ordinariness of life. Enmeshed in all the songs, is the spirit of a musician who's long let go of the cocky defiance of youth, who bears the scars and celebrations of daily life with a comfort born of the same regrets, delights and minor triumphs that we all share. Feb 7 (8.30pm) Luka Bloom, Wexford Arts Centre, Wexford. Tel 053 9123764. 20 Euro. Tickets for this event are available on www.tickets.ie and Plugd Records Washington St. Internationally acclaimed singer-songwriter Luka Bloom released his twelfth album, Eleven Songs, in autumn 2008 on Big Sky Records.The album was preceded by the debut single, �I�m On Your Side� and now new single �Don�t Be Afraid Of The Light That Shines Within You� will release on February 20th in Ireland, the US, Germany, Holland, Belgium and Australia. Don�t Be Afraid Of The Light That Shines Within You is, in Luka�s words, "Two chords, two verses and a chorus - a very simple song, and yet it says everything I want to say at the beginning of 2009......"
Over the years Luka Bloom has brought his songs to venues all over the world. His incredible gifted electro-acoustic guitar-playing guarantees an impressioned live performance.Promoting his latest album ELEVEN SONGS, we are really excited to present Luka at the Tinahely Courthouse for the first time. Hearing him perform his original, poetic and melodic songs in this intimate venue will be an experience not to be missed. Book now for a special St. Valentine's night out. Internationally acclaimed singer-songwriter, Luka Bloom, has enjoyed eighteen years of successful worldwide tours, and will be releasing his twelfth album 'Eleven Songs', worldwide in October 2008. With his new studio album Luka returns to the raw live sound of his earlier records, reminding us why he is such a master of the concert stage. Like many Irish families Luka comes from a family of singers and songwriters, first going on tour with older brother, Christy Moore. In 1987 Luka went to the US and toured with The Pogues, The Violent Femmes, Hothouse Flowers and The Cowboy Junkies. Warner Music, in Los Angeles, signed Luka in 1990 and over the next four years, recorded three albums for them, 'Riverside', 'The Acoustic Motorbike' and 'Turf '. Following the success of these albums, Luka then went on to release a further seven albums on his own 'Big Sky Records' label. Over the years Luka has brought his songs to clubs, theatres, festivals, bars and arenas all over the world. His incredibly gifted electro-acoustic guitar playing guarantees an impassioned live performance of his original, poetic and melodic songs. Tickets are now on sale for what promises to be two very special evenings for music lovers. MUNDY performs an acoustic set on Tuesday 10th Feb and LUKA BLOOM is now also confirmed for Tuesday 17th Feb. Tickets for both nights are available now from MOKA, 20euro each, Doors from 8pm. Internationally acclaimed singer-songwriter Luka Bloom will be playing in Moka Live, Castlebar on Tuesday February 17. Luka Bloom recently released his 12th album, Eleven Songs, featuring the current single 'Don't Be Afraid Of The Light That Shines Within You'. Eleven Songs sees Luka returning to the raw live sound of his earlier records, brimming with inspiring lyrics and sumptuous melodies and reminding us why he is such a master of the concert stage. The album was co-produced by Luka and David Odlum (ex-Kila and ex-The Frames) and recorded in Grouse Lodge in County Westmeath. Musicians on the album include Dave Hingerty (ex-The Frames), Trevor Hutchinson, Liam Ó Maonlaí (ex-Hothouse Flowers), Paul Smith, Cora Venus Lunny, Ken Edge, and the Gardiner St Gospel Choir. Backing vocals are Sinead Martin and Robbie Moore. Like many Irish families Luka Bloom comes from a family of singers and songwriters and first went on tour many moons ago with older brother Christy Moore. In 1987 Luka went to the US and toured with The Pogues, The Violent Femmes, Hothouse Flowers, and The Cowboy Junkies, and in all he has now enjoyed 18 years of successful worldwide tours. Out now on Big Sky Records. Internationally acclaimed singer-songwriter Luka Bloom released his twelfth album, Eleven Songs, in autumn 2008 on Big Sky Records. Don�t miss what is sure to be a night to remember with Luka at the Ionad Cois Loiche on Thursday, February the 19th at 8:30pm. Internationally acclaimed singer-songwriter Luka Bloom celebrates the release of his twelfth album 'Eleven Songs�' Luka has enjoyed eighteen years of successful worldwide tours, and in his new studio album he returns to the raw live sound of his earlier records, reminding us why he is such a master of the concert stage. His incredibly gifted electro-acoustic guitar playing guarantees an impassioned live performance of his inspiring and sumptuously melodic new and old songs. Tickets available from www.ticketmaster.ie and WaV TicketBox, Dublin 2 - Lo-call 1890 200 078. Luka Bloom is pretty much blooming at the moment in the wake of the release of his most recent album Eleven Songs. He is finally returning to Kilkenny to play some of his new songs and no doubt he will keep his fans on side by playing his older material also in the Top Bar at Kytelers on Kieran Street this evening (Friday). 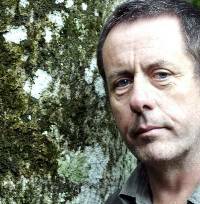 Luka Bloom plays in Kilkenny at least once a year and he has a large fanbase here who will no doubt be out in their droves to witness a live version of the new album which has already proven its worth and popularity. Luka is particularly pleased with this album and in particular with �Don�t be afraid of the light that shines within you�, a song from the album that has taken off beyond expectation. Luka is an understated performer at the best of times, however when he wrote this song, he claims that he knew �it was meant to be big�. "In 2008, I felt a momentum within myself, which resulted in the record Eleven Songs. And in that momentum I also felt a surge of energy around this song �Don�t be afraid of the light that shines within you�. I knew that it was not enough to simply record the song. It had to be big. Most of my recent recordings are intimate and personal. But this song insists on being as big as is possible. It is a song which wants to explode into the world; and its time has come. "Even at the point of recording the song in April 2008, I could never have foreseen the hurt that people are feeling around the world in a few short months. At the end of 2008, everywhere is fear, insecurity, corruption, unemployment... And yet, I feel this is the most exciting moment imaginable to be alive. "There is such a window opening in the world for goodness, for community, for sharing, for simplicity, for kindness. And this song is a call to people, to reach inside and be aware of the power in each one of us to do good, for ourselves, for our families, for our friends, for our villages and towns, and ultimately, for our earth. "This song came from the power of a group of people who want to shine a bright light for the earth and for humanity. We have shared it together for 15 years now. And now I want the world to hear it." The song is mesmerising and encourages the audience to chant along for minutes as Luka leads the audience on his guitar. However this is not the only song on the album and all of them are enchanting and leave you wanting more. You can hear it for yourself this Friday evening at Kytelers on Kieran Street where Luka will be giving it wellie. Tickets available from Rollercoaster Records on Kieran St or on the door. LUKA BLOOM - RESCHEDULED TO SAT. 2ND MAY!! Please contact us on 01-8020898 to exchange/refund your tickets. Warner Music, in Los Angeles, signed Luka in 1990 and over the next four years, recorded three albums for them, 'Riverside', 'The Acoustic Motorbike' and 'Turf'. Following the success of these albums, Luka then went on to release a further seven albums on his own 'Big Sky Records' label. 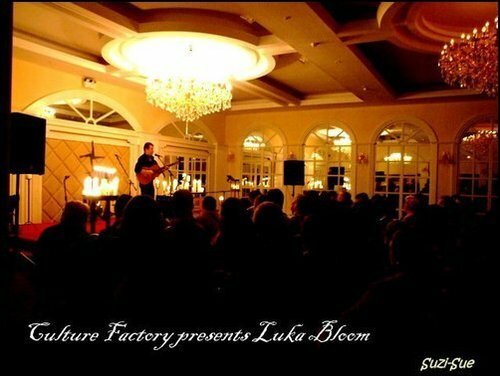 Newbridge legend, LUKA BLOOM will be playing an intimate gig in The Liffey Studio on Wednesday 13th May at 8pm. This will be a chance for people to see Luka up close as tickets are limited to 50, a rare chance to see such an intimate show. 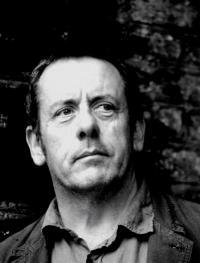 Kildare Youth Theatre presents LUKA BLOOM in The Liffey Studio on Wed 13th May at 8pm. Tickets: €20.00 (and limited to 50). Booking: Please email: info at crookedhouse dot it (rewrite as correctly formatted address). The Liffey Studio is a rehearsal and performance space in Newbridge, County Kildare, Ireland. 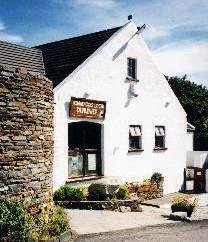 It is run by Crooked House Theatre Company at 1, Main Street, Newbridge. The space is for hire and consists of the studio itself, a meeting room, and kitchen facilities. The Liffey Studio is a bright, naturally lit space overlooking the River Liffey and situatted over Johnson's public house. It is suitable for accoustic gigs, stand-up comedy, visual art exhibitions, installations, film, training sessions, meetings, rehearsal of dance and theatre, and small-scale performances. Its seating capacity is 50. The Studio is equipped with stage lights, seating, and sound system. All can be cleared out if needs be. The Meeting Room is equipped for meetings but may also be cleared to accomodate small-group rehearsals. For further information please contact Crooked House at 00353 (0)87 2759420. Or 00353 (0)45 446612. & the proceeds are in aid of Kildare Youth Theatre (A Great and Worthy Cause). Performing in the INEC ACoustic Club - Singer / Songwriter - Luka Bloom! Tickets on sale now. Contact the INEC Box Office for Information on 064-6671555. The Gleneagle Hotel and Brehon hotels offer a host of pre-show dining options to suit all taste. To avail of these offers or to book a pre-show dining option please call 1890 300 101. Internationally acclaimed singer-songwriter, Luka Bloom, has enjoyed eighteen years of successful worldwide tours, and has released his twelfth album �Eleven Songs�, worldwide in October 2008. With his new studio album Luka returns to the raw live sound of his earlier records, reminding us why he is such a master of the concert stage. Warner Music, in Los Angeles, signed Luka in 1990 and over the next four years, recorded three albums for them, �Riverside�, �The Acoustic Motorbike� and �Turf�. Following the success of these albums, Luka then went on to release a further seven albums on his own �Big Sky Records� label. Luka Bloom, born Barry Moore, is the younger brother of Irish folksinger Christy Moore and an accomplished singer-songwriter in hisown right. Luka Bloom's style of guitar playing is very distinctive and isgenerally referred to as "electro-acoustic". In his early career as Barry Moore, Bloom used a finger picking style. However, tendinitisin his hands forced him to adopt a strumming style, which is theone he still uses and is often credited with his success.In an extraordinary career Bloom has constantly toured the wholeof the globe, playing everywhere from New York (at the request ofLou Reed amongst others) to Australia. His albums include the definitive 'Riverside' which features many of his classic songs notleast of which is 'The Man Is Alive'. He�s also re-interpreted tracksranging from Bob Marley to ABBA on the album �Keeper of theFlame�. As Luka himself commented "I have always believed that it ispossible for a solo artist to sing songs from any area and the onlylimitations are in people's minds. Rather than covering these songsas a novelty, I was determined to convey my love of these songsand the artists who created them. "Luka Bloom's live performances are prolific and highly entertaining, often featuring the singer playing songs on request from theaudience - regardless of there presence in his set list. A legend ofthe Irish music scene for one night only in Bangor-very earlybooking is advised for this event!